WINTER SKIN LOVES. HYDRALURON & KIEHL'S ULTRA FACIAL CREAM. | Life Looks Perfect. WINTER SKIN LOVES. HYDRALURON & KIEHL'S ULTRA FACIAL CREAM. It's skincare post this morning folks, I couldn't think of any other way of wishing you a Happy Valentine's Day without a skincare treat. I think skincare will forever be one topic that will never leave my typing finger tips and I think it is the best way of sharing the love on Valentine's day with all my lovely readers. I wanted to introduce a new mini series on LLP that will run throughout February on a Friday, where I want to share with you some of my Winter hero products. I hope you enjoy! 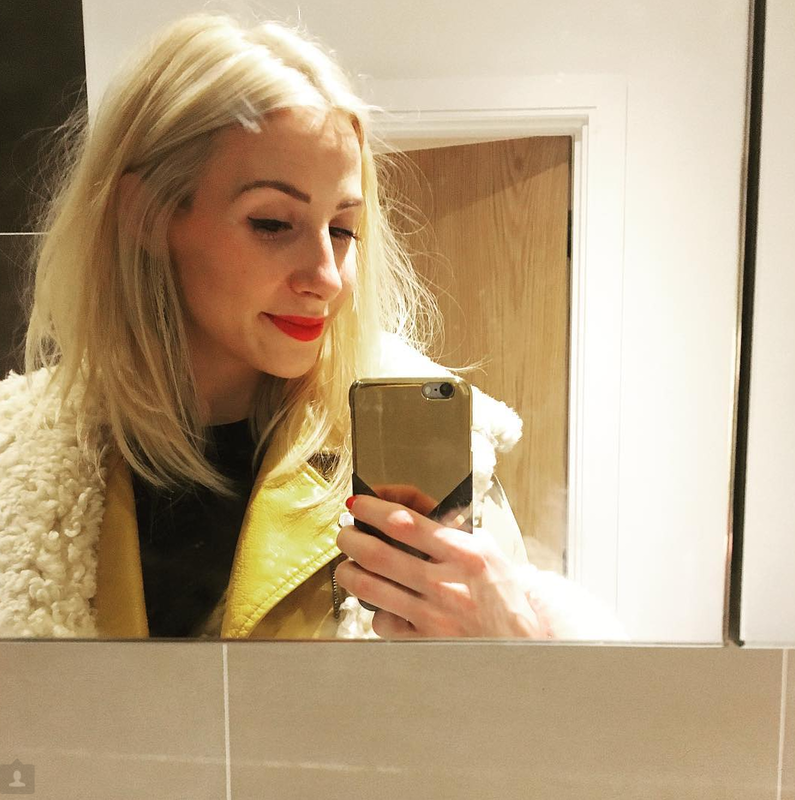 With the chilly weather setting in, I have had to up my skincare routine game.Over the last few months my skincare routine has been my priority and ever since my skin has been looking so much better apart from a few weeks of illness. I think my new mantra of listening to what my skin and body needs seems to be working (or it might just be the fabulous products that have been doing all the work for me!). This winter I have certainly been needing products that will hydrate my skin and keep it looking plump and healthy. For this I have a few skincare items that I don't think I could have survived the cold without. First up is a product that I can gladly admit 'A blogger made me buy it'. Ever since Caroline Hirons, beauty guru to all of us, told us that well we need this product in our lives if you suffer from dehydrated skin, I knew it had to be a hero product. Well suited for this time of year, Hydraluron is special serum that is used as a moisture booster. The serum works as a moisture blanket, helping to beat dehydrated skin. With an ingredients list that has the sign of approval from Mrs Hirons, this transparent gel is filled will Hyaluronic acid and with not one nasty. My skin literally loves it folks. The actual texture of Hydraluron, is something that I have never seen before. As you apply it, it almost disappears straight into your skin. I then look forward to layering on my moisturiser on top, which the only way I can describe the feeling is by taking a deep breathe and grinning away into the mirror - it's heaven. A small amount goes a long way. As I work in a cold environment and quite often my skin becomes tight, I was certainly in need of an extra boost and especially when I was ill. When using this serum, I noticed a difference in the texture and appearance of my skin straight away. It had became plump and extremely soft almost instantly. One huge bonus with this product is because it is so moisturising, you don't actually need to use alot of your moisturiser after or at least as not as much as I usually would. This serum basically does all the hydrating for you. I will never be without a bottle of this in my skincare stash now. I have constantly been on the quest to find 'The One' - the ultimate moisturiser. Yes ladies, this is an impossible battle for me. I haven't tried billions of moisturisers, as I am sure many bloggers have done but I tend to be quite picky. Late last year, I hit a drought. I had no moisturisers left in my beauty cupboards, no back ups, nothing. So being a lady still searching for the one, I headed to Space NK, the hub of all things beautiful in the skincare world. I ended up picking up this one from Kiehl's. This Ultra Facial Cream is suited for anyone who is suffering from dry skin or needs something more hydrating for the Winter. To my surprise, although this cream is meant to give your skin up to 24 hours of protection, it has a very light texture. It isn't heavy or greasy at all, which was my biggest worry due to my combination skin. I have been using it now for over two months, as a night time moisturiser, and my skin has never been so hydrated. When I wake up in the morning, my skin looks healthy and feels so soft. The amount of compliments I have received on my soft skin has been incredible (by the way, I haven't been getting randomers to stroke my face and tell me how fab it feels, I mainly have been complimented by family hehe!) I think for a random on a whim purchase, I am so happy to have tried this and I think next Winter, I will be buying another pot as my one is almost finishing up now. Bring on Spring I say! I think, although we have been fairly lucky with our Winter here in London aka we haven't had snow yet, I am looking forward to sunny days and blue skies. Do let me know your Winter skincare hero's, I would have loved to share these two products earlier but I wanted to give them a proper test before sharing my thoughts. Do pick them up ladies and gents and give them a try yourself. I hope you have a lovely day where ever you may be and I hope it is full of love. Happy Valentine's Day folks. TAGS SKINCARE REVIEW., SKINCARE., WINTER SKIN LOVES.